As part of Bush Radio regular staff development sessions we thought we’d learn a little bit more about how our signal gets to our listeners and meet some of the people involved in the process. 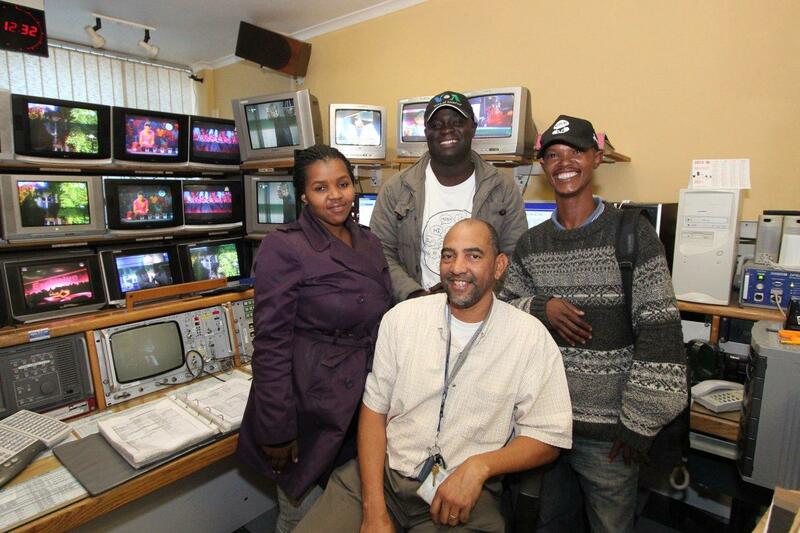 On Wednesday we visited Sentech, which Bush Radio uses to distribute its FM signal (89.5) to listeners. Frank Creese who is the Manager of Cape Town Operations for Sentech gave us a presentation about Sentech and its services and also conducted a tour of their facilities. 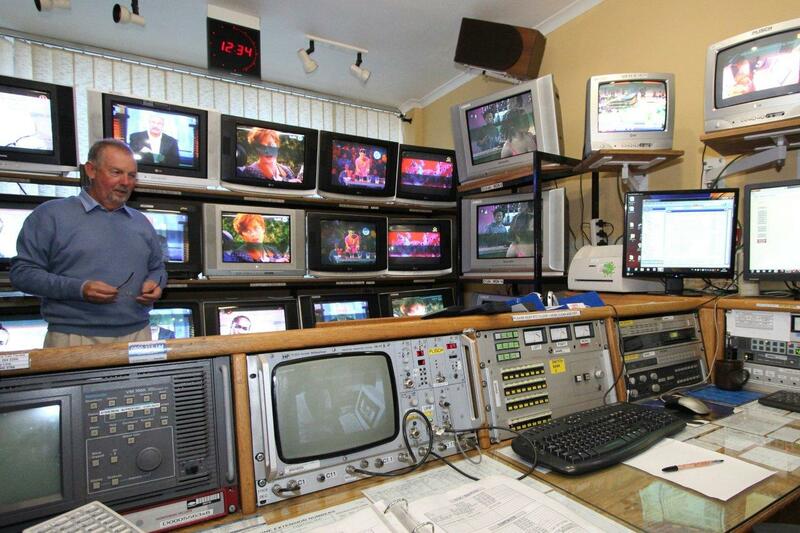 Some facts about Sentech: it has 220 transmitting stations, 742 radio transmitters, 627 television transmitters and 550 staff members at its 16 centres nationally. 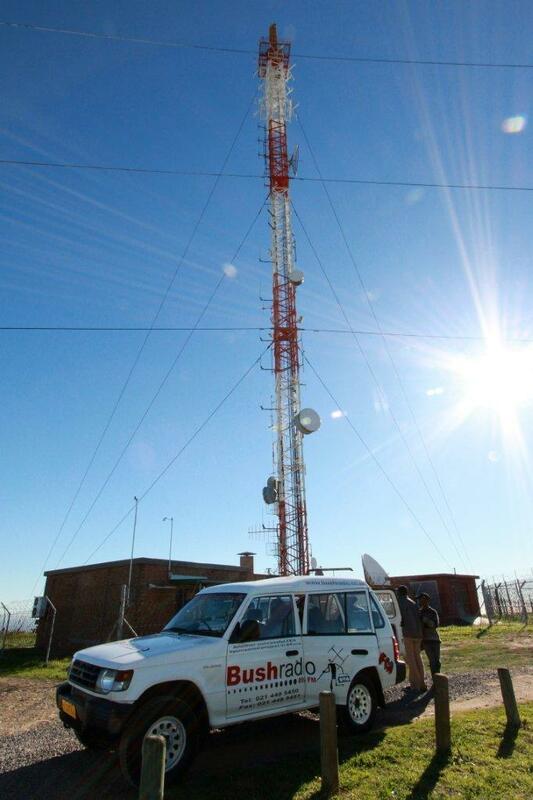 Bush Radio is currently considering upgrading the old Telkom copper wire connection which send our signal from the studio in Salt River to Sentech and Creese shared some clarity on why fibre optic is the way to go to get improved audio quality to the transmitter. Our staff were amazed when we were taken into the Sentech’s operations centre where the main broadcasting (TV and Radio) signals are monitored 24/7, 365 days a year. 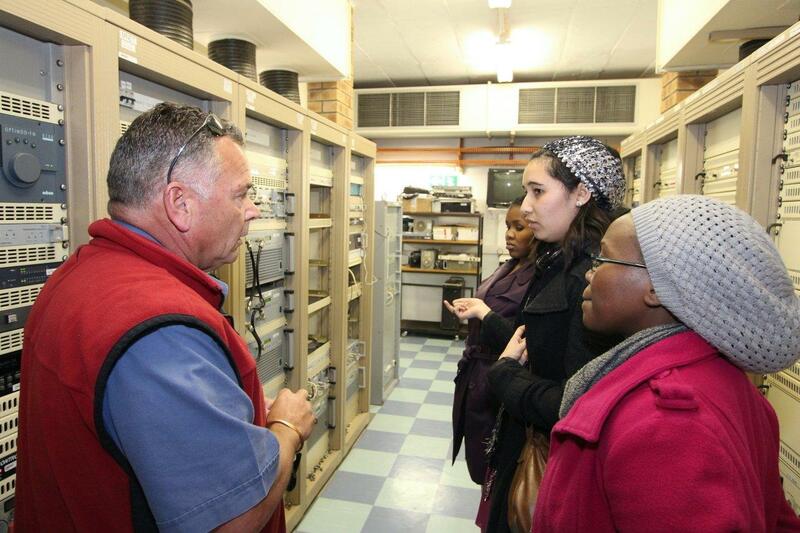 We then went to the Sentech’s transmitter site in Tygerberg where many of the community and commercial radio stations transmitters are located. A highlight was also seeing the new digital television transmitter.